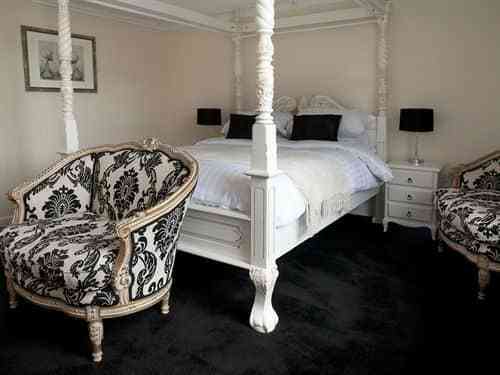 Here at the Eagles hotel we provide our visitors with a truly authentic experience dating back to 1840. Our hotel is world renowned for good reason and is situated in the beautiful countryside in Llanrwst – perfectly set within the grounds of the River Conwy in Wales. If you are not totally familiar with the area then perhaps it would be clearer if I informed you that in actual fact it is within 20 miles of Mount Snowdon – in the aptly named Snowdonia National Park. Here you can find a range of tourist resorts and towns too. In fact it is possible to commute from our luxurious hotel to the tourist towns in around 10 minutes by car or public transport, or if you would prefer a more leisurely walk then you can do this within an hour or so too. You can expect to find an extremely friendly community spirit down here in the heart of the Welsh countryside, all of our staff are also exceptionally friendly too and are more than happy to help you with any convenience requests that you may have during your stay. Our hotel is very large and has outstanding views of all the surrounding beautiful Welsh views, some of our more premium rooms have 360 degree views all over the Welsh valleys in Betws-y-Coed. Here the Eagles hotel is well known for providing excellent value for money, while ensuring a truly enjoyable and comfortable visit too. 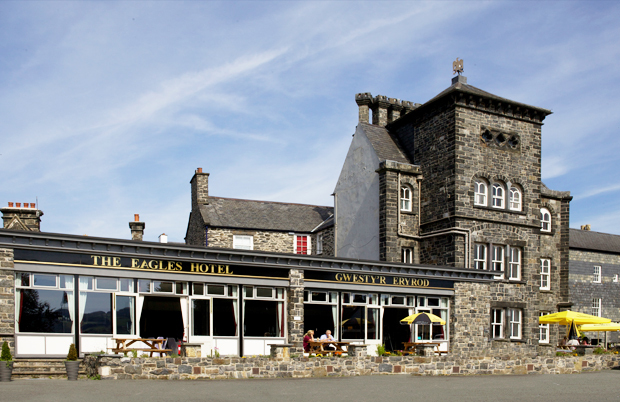 Our hotel, the Eagles Hotel, has a whole range of different bars and restaurants inside, all of which serve traditionally brewed Welsh ales, lagers and also a selection of truly fine wines. Similarly, all of the food cooked in our restaurants is made on site, it is completely fresh and always provides a welcoming addition to your taste buds. We also make sure that we charge a fair price for any meals in our restaurants, we never charge extortionate prices and our main restaurant has a truly attractive patio area and riverside garden too. This is absolutely perfect for admiring the beautiful Welsh local scenery. We also welcome conferences or simply large groups of people to visit, if you are hoping to have a wonderful birthday then we are more than willing to let you book out the whole restaurant or one of the bars for an evening or a day too. Please let us know with plenty of time in advance and we will do our best to set up a wonderful event for you to host, no matter the occasion – weddings, birthdays, parties or more. We are certain that you will not regret our visit and will be wanting to come and visit us here at the Eagles Hotel in Llanwrst again soon.